Oceania V, which is part of the Oceania Island development along with Oceania IV and located at 16500 Collins Ave, is a lovely building that could be a nice place to consider calling home. Those who are looking for a new property as their full-time home, a vacation home, or those who might be looking for investment properties will find that there are some great choices here. Let’s get a close look at what Oceania V has in store for those who decide to make it their home. The building offers a range of options when it comes to the types of units available. There are three-story villas, along with penthouses that are two stories, and one, two, and three-bedroom residences in the tower. You can find different floorplans in the building that might appeal to your needs. The units themselves have plenty of great features, as you will see below. Those who choose the Oceania V will find a range of features that help to make these units so special. The bathrooms have designer fixtures in them, and there is a full-size side by side washer and dryer. The units have air conditioning and heating, gorgeous marble bathrooms and imported Italian walnut kitchen cabinetry for a truly luxurious look. The master bedroom has mirrored closet doors along with oversize his and hers walk-in closets. The master bathroom also offers a whirlpool tub. There is a separate dining area for formal entertaining, as well. You will be able to enjoy some nice views of the ocean and the Intracoastal waterway. The terraces are spacious and feature glass railings. They are sure to be one of the favorite spots in the unit, where you can unwind after a long day or just step outside to get some fresh air. The units are amazing, but you will also find that the amenities at the building are topnotch, too. Oceania V has valet service, as well as boat slips around the island for those who happen to have their own boat. It offers a storage area for bikes, a multilevel parking garage, beautiful landscaping, and even a putting green. There are oceanfront and poolside cabanas that can be purchased, a club with an indoor swimming pool and casual dining, a tennis court, card room, entertainment center, around the clock security, an observation deck, a sundeck with a heated swimming pool and hot tub, and more. You will also find that the location happens to be stunning. 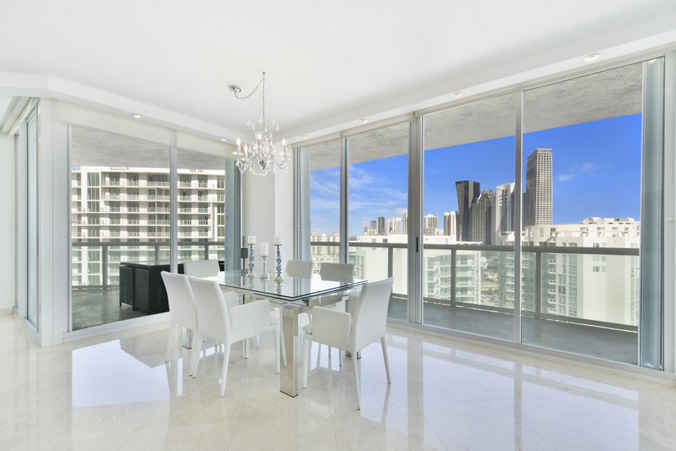 You are close to the water, and you will be able to reach all of the other areas in and around Sunny Isles with a quick drive. The buildings have privacy even though you are in one of the most popular cities in the world. 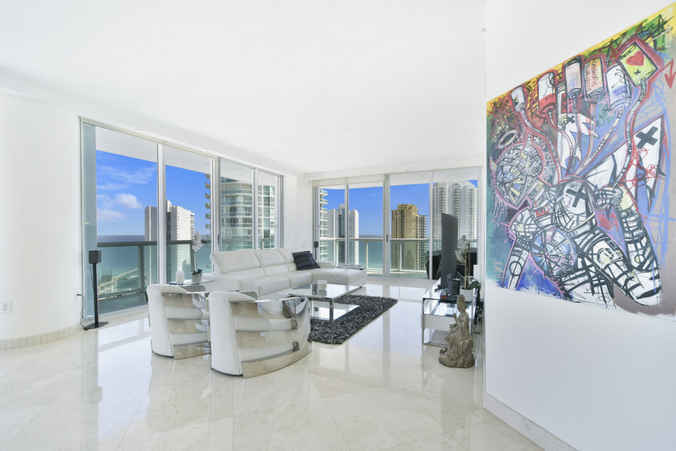 If you are looking to buy a new place to live, or perhaps you just want a vacation property in the Miami area, check out everything that Oceania V has to offer.